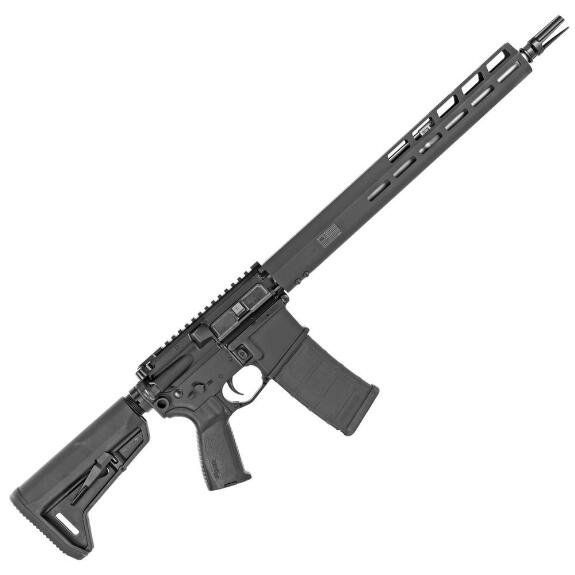 The long awaited SIG Sauer M400 Tread is an AR-15 unlike any other. First this rifle begins it's life as a set of forged aluminum upper/lower receivers which feature a hard coat anodized finish. Next the Tread comes standard with a 16" stainless steel barrel which provides incredible shot to shot consistency and tight groupings. Next a free floating M-LOK compatible hard guard will help ensure you maintain accuracy while providing tons of modular M-LOK rail compatible spaces. The ambidextrous controls and charging handle will ensure either a righty or southpaw lefty shooter will be able to manipulate the rifle.